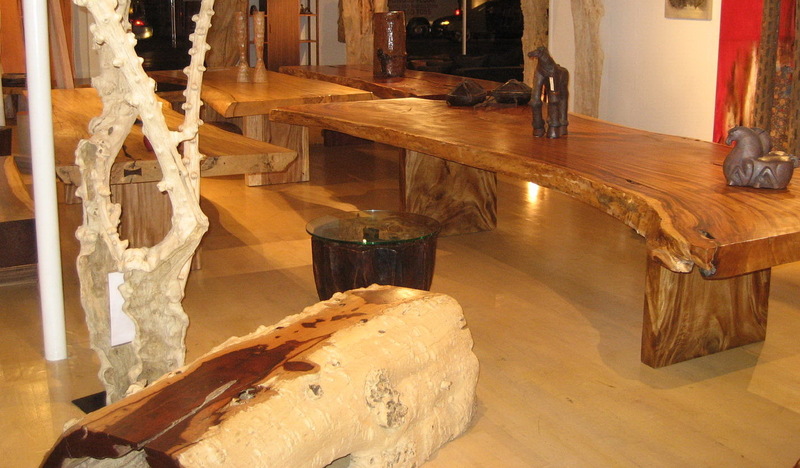 This is retail showroom we recently designed natural reclaimed wood art furniture for. 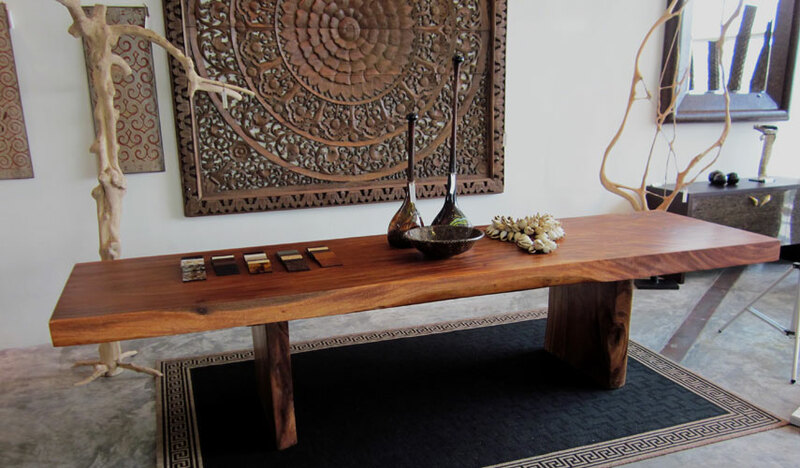 This is a large solid acacia wood slab table great for dining or a boardroom table. 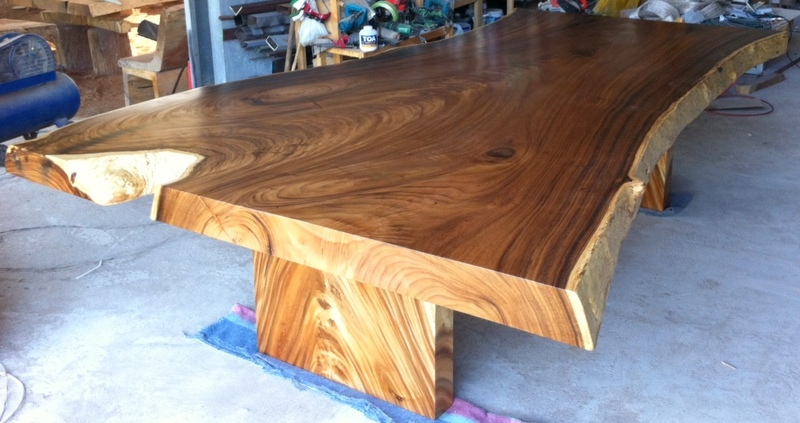 On this project we custom made many beautiful large solid Acacia wood slab tables with and with out live edges of all different functions and unique accessories all from reclaimed wood for. 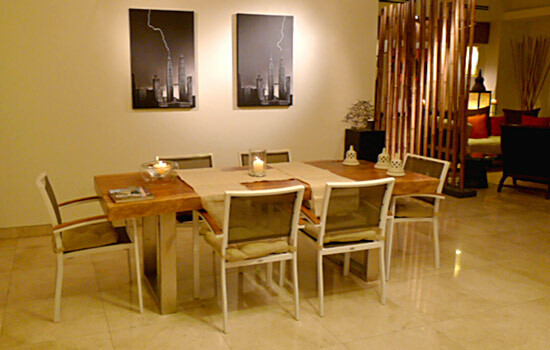 This home in Paris we designed all the wood tables and accessories to have a overall relaxing and natural feel. 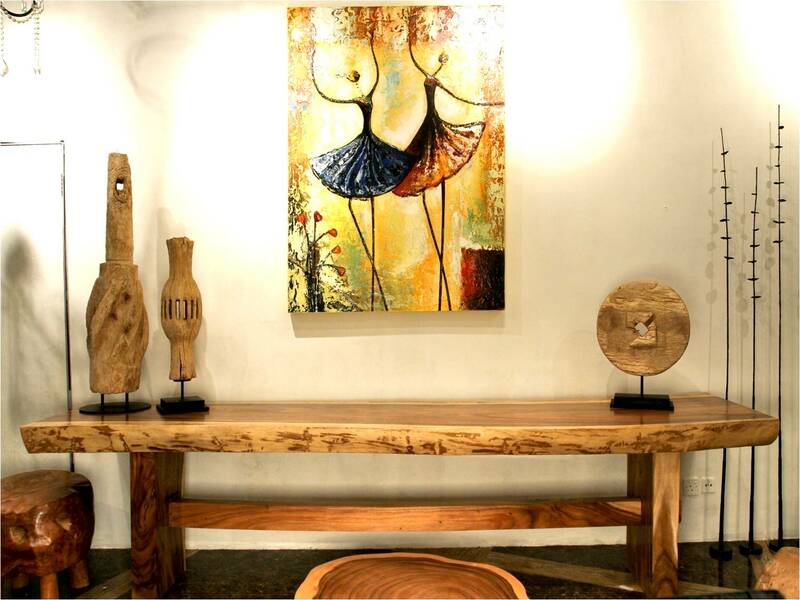 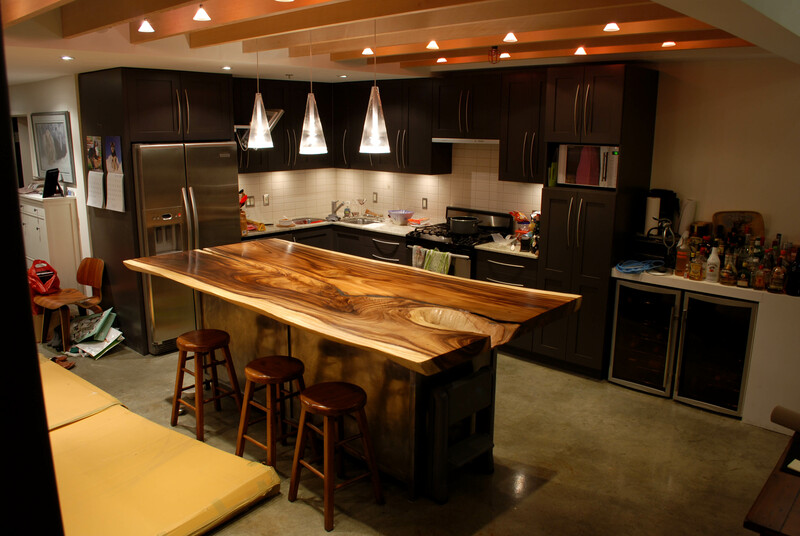 All the items are created from reclaimed solid wood and in their live edge free form shapes.